One of the most popular hair waxes in the UK are Dax hair waxes. The 2 most popular of the hair waxes are Dax Wax Wave and Groom and Dax Wax Short and Neat. DAX Wave & Groom hair wax is a thick hair dressing. It can be used to bring out your natural wave pattern in your hair, where you can use it for spiking and sculpting your desired look. It is ideal if used on short hair. Directions for Use: Place the desired amount of Dax Wave & Groom wax between the palms of your hands and apply to clean, damp or dry hair. Use your fingertips to spike, sculpt, and create stiff definition. Dax Wave & Groom Hair Wax comes in a Red tin and is a hard hair wax. This product is ideal for holding any look you choose, works best on short hair. Dax Short & Neat is suitable for all hair, long and short and is a softer wax. Plus there are several other Dax Waxes which are available that you can try, including Dax Wax Washable which is is water soluble and similar to Wave and Groom. DAX Short & Neat is the ideal light hair dressing for your short and natural look. It gives a medium hold and is ideal for all hair types. It is best if used on short to medium length hair. Directions for Use: Place the desired amount of Dax Short & Neat into your hands and rub between palms of your hands until even. Apply to your clean, damp or dry hair. Style with your fingertips until the desired look is achieved. Dax Short & Neat Wax comes in a Blue tin and is a medium hardness hair dressing. This product is brilliant for holding a natural look, this wax is best used on short and medium length hair. Dax Wax Washable offers the same hold as Dax Wax but you can easily wash it out. It is an everyday hair styling product. This hair wax has a strong hold and contains a water rinseable formula that allows it to be easily washed out of your hair. It is successful on short hair. Directions for Use: Put the desired amount of Dax Hair Wax into your hands and rub between the palms of your hand until even. Apply to your clean, damp or dry hair for spiking, sculpting, and creating stiff definition. Use your fingers to create the desired hair style. DAX Hair Shaper has the ability to create the most exceptional styles and is a versatile hair creme. This wax provides you with a medium hold and can be used to scrunch, mould, slick and style your hair. It is best if used on short to medium length hair. Directions for Use: Place the desired amount of Dax Hair Shaper into your hands and rub between the palms of your hands until even. Apply the creme to clean, damp or dry hair for shaping, sculpting, and separating. Use your fingertips to create volume at roots and style your hair as desired. DAX Vegetable Oil Hair Shampoo thoroughly cleanses and conditions your hair and scalp. This hair shampoo won’t strip or dull your hair colour. Dax Vegetable Oil Shampoo leaves your hair soft, clean, manageable, and beautiful. it nourishes, strengthens, and quenches thirsty hair. DAX Deep Cleansing Shampoo is created to remove dirt, grease, and build up in your hair that happens when using styling pomades, waxes, and all other grooming hair products. This shampoo can also be used to remove excess oils if you have oily hair. Dax Deep Cleansing Shampoo is strong on build up and grease, yet gentle, and it will not strip or detract from your hairs natural shine, natural colour or processed hair colour. It has natural ingredients that will help strengthen, hydrate and maintain healthy shine and appearance to your hair. Directions for Use: To Remove all Dax products and more: 1st apply this Deep Cleansing Shampoo to DRY hair. Rub it throughout your hair to create friction. Then add a small amount of water to activate the foam. Lather. Then rinse hair thoroughly and repeat if necessary. Dax hair products are one the best known men’s hair styling products with their waxes being the most well known and popular brands. Dax Wax and Dax Hair Products at Salon Collective. Men with thinning hair want solutions backed by science. They want products that are simple to use. More than anything else, they want results. 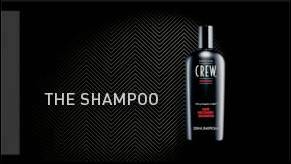 American Crew, the world’s leading salon brand for men, has poured its expertise into a new system for men with hair loss. Learn how the American Crew Trichology Hair Recovery System works, and why it’ll work for you. Every day, you wash your hair. But if you’re not using a shampoo that helps block the formation of DHT on your scalp, you’re missing a big opportunity for fuller, thicker, stronger hair. 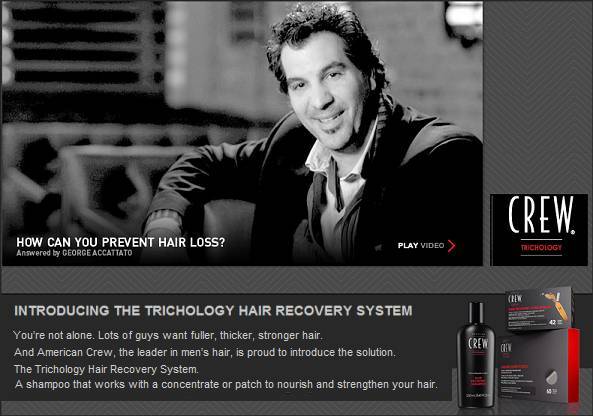 Learn how and why American Crew Trichology Hair Recovery Shampoo works for men with hair loss. Prepares a man’s scalp for maximum absorption of the ingredients. Contains a proven formula that nourishes and extends the life of a man’s hair and stimulates and soothes the scalp. Use with either the Concentrate ampoules or Patches for best results. Fuller, thicker, stronger hair requires nutrients. And the American Crew Trichology Hair Recovery System gives you two ways to get them. One option is a convenient concentrate. Learn how to use the concentrate and what it’ll do for men with thinning hair. A man should massage one ampoule into his hair roots every day to strengthen strands and nourish his scalp. Then he can comb and style his hair as usual. Used daily, Trichology Concentrate will begin to show results within 6 weeks. Once the initial treatment phase has been completed American Crew Trichology Hair Recovery Concentrate can be used every other day as part of an ongoing hair maintenance system. Comes in box of 12 ampoules. Use with Trichology Recovery Hair Shampoo for the best results. Different men have different lifestyles. So American Crew developed two ways for you to supply your scalp with the nutrients it needs for fuller, thicker, stronger hair. One is an easy-to-use patch. 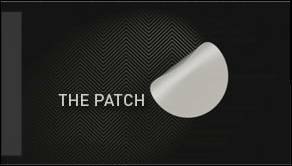 Learn how the patch works and why it might the right option for you. The easy-to-apply patch gradually releases the carefully selected ingredients as a man wears it, without any mess. Rosemary and Swertia Japonica work together to encourage the best environment for hair recovery. Can be worn conveniently and safely overnight. 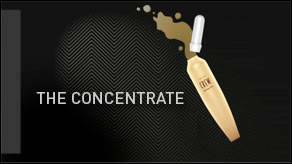 Used daily, Trichology Concentrate will begin to show results within 8 weeks. Once the initial treatment phase has been completed the Trichology Hair Recovery Patch can be used every other day as part of an ongoing hair maintenance system. Comes in boxes of 60. Use with Trichology Recovery Hair Shampoo for the best results. A person’s hair gives away many clues and says a huge amount about the person that it sits on top of, adorns and belongs to. Well kept, healthy looking, strong and vibrant hair tells you that the person takes great care of their hair and makes sure that they do all or most of the things that they must do to keep their hair looking great, and avoid all of the things that will do the opposite. A person with dirty, greasy, unkempt hair with split ends and any other fashion hair-do no no’s implies that this person really doesn’t how to look after or care about their hair. To make and keep your hair looking healthy, vibrant and beautiful, there is one thing vitally important thing you must protect your hair from… ATTACK! What do I mean by attack? I mean attack from the outside and the inside by the horrible, nasty and health destroying chemicals and pollutants that surround us day in and day out. For it is these chemicals and pollutants that ruin your hair and put paid to any chance you might stand of having great, healthy-looking hair. Q? What sort of chemicals and pollutants are we talking about? Human activity on the planet produces a large amount of chemical expulsion – factories, cars, houses, schools, all burning fuel or manufacturing products that give off unpleasant chemicals as a side effect. Even the weather, be it sunshine, or the wind and rain, can do damage to your hair. There is almost no escaping it. The second place we face attack from is the pollution that happens inside of your bodies. Eating food low in nutrition does not prepare your body for optimum hair health, with junk and fast foods adding to the mix of bad chemical soup sludging around in your system. Stress releases unwanted chemicals into the body and poor sleep deprives the body of the energy it needs to regain strength and vitality. Clean and healthy hair grows from a clean and healthy body. Q? How do we avoid attack from both the outside and the inside? - Stress: do all that you can to become and remain calm and tranquil at all times. Stress has a very negative impact on the body through the release of chemicals which can show up in the hair. - Dehydration: being in a dehydrated state also has a negative impact on the body and can compound any dry skin or scalp problems that you might have. Be sure to drink plenty of fluid throughout the day, every day. - Nutrition: Healthy nutritious foods feed the body and help the body to maintain health and vitality. Be sure that you eat a healthy and balanced diet. Fast foods and junk foods can have a negative impact on the body translating into limp, dull and lifeless looking hair. Avoid unhealthy high-carb, high saturated fat junk foods as much as possible. For the outside… Unless you are able to stay indoors for the remainder of your life there is little that we can do to stop the sun, the rain, the wind, and all of the nasty pollutants that we as humans produce. But… there is something that you can do to give yourself the best protection for your hair against the elements and pollutants and that is only using Professional Hair Care Products! There is a very good reason for using professional hair care products over cheap hair products. Quality! There is simply no comparison between a cheap shampoo and conditioner and a premium brand shampoo and conditioner. The top premium hair care product manufacturers invest millions of dollars in research every year to discover new ingredients and refine these ingredients that they use in their products so that we the customer can get the very best care for our hair. Cheap hair products contain cheap detergents that do a half hearted job at cleaning your hair. Professional hair care products are able to go right into the hair giving more thorough cleansing and delivering vitally needed nourishment the all of the hair, and not just the outside. Professional hair care products also often contain organic ingredients taken straight from Mother Nature replicating some of the healthiest bio systems on the planet. With the highest concentration of Quadramine Complex in its formulas, K-PAK delivers the ultimate in healthy hair. 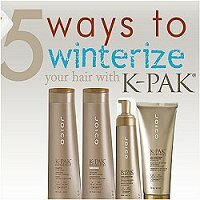 K-PAK products work synergistically to rebuild, reconstruct, strengthen and protect damaged hair. You can beat the credit crunch and think about giving your hair a treat at home. Give yourself a well needed confidence boost and save pounds!! 1. Power Up your Hair Care. – Rich, nourishing formulas like K-PAK Shampoo and Conditioner supply the necessary “muscle” to keep hair energized and healthy through the strand-depleting months of winter. 2. Go Deep. – Deep reconstruction, that is, with original K-PAK Deep Penetrating Reconstructor treatments. This award-winning formulas repairs from the inside out and shields hair and haircolor from cold weather assaults. 3. Quench Thirst. – Wind and frigid temps literally strip strands of vital moisture, leading to brittle, dehydrated conditions. Replenish parched strands with regular K-PAK Intense Hydrator treatments. 4. Serve and Protect. – Think of K-PAK Leave-In Protectant as a cozy layer of all-day protection against thermal and environmental damage. And while it protects, this multi-tasking formula also stays busy reconstructing and repairing. 5. Static Cling. – Whoosh! Off comes the hat and there goes the hair. Teach yourself how to subdue the wild and woolies by spritzing her comb or brush with K-PAK Protective Hair Spray before styling. Doing so will repel static and keep flyaways under control.